Hand-Made Luxury. Everest Custom Gates in Beverly Hills. 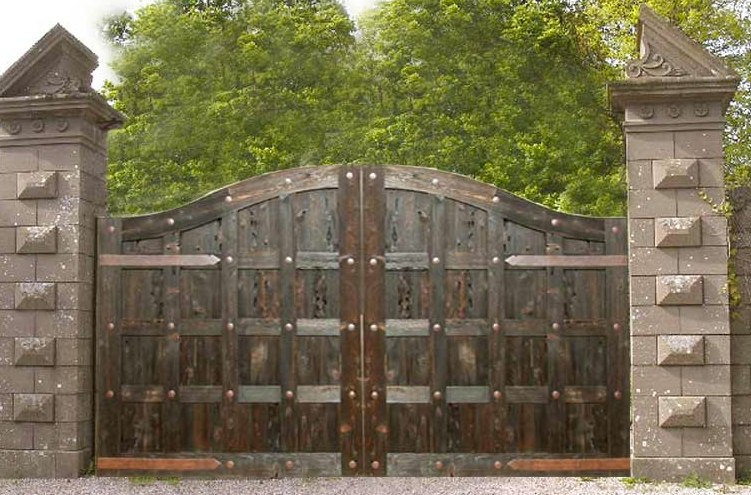 Everest offers Beverly Hills custom gates made from wood, metal, concrete, and a number of other materials. Our gates are hand-made by local artists employed full-time on staff, and our studio is right here in Los Angeles meaning you get a faster turn-around time, and lower cost. Give Everest a call today; let us get to know your property, your style, and see what your vision looks like when we present a concept that will amplify class, and add much-needed security. All of our wooden driveway gates are treated and sealed to resist damage from strong wind, rain, and ongoing exposure from the sun’s rays. Wood is a great medium to use to create any look. We can design a one-of-a-kind modern wooden gate with beautiful planks and clean lines, or a rustic style wooden gate to compliment a craftsman. Our team can even incorporate wrought iron and wood into a gate design, or mix any other mediums. Our Beverly Hills custom gates crew are passionate about what they do, and each gate that leaves the studio is a work of art that they view as being their baby. At Everest we take great pride in providing the people of Beverly Hills with superior quality custom gates, and our dedication to customer service and passion shows in every driveway gate we build. Aluminum gates are ideal for property owners who require a light-weight gate. These customers normally tend to have gates up a hill away from the road where the threat of an accidental impact to the gate is highly unlikely. Homeowner’s in areas with high-risk impact, like those who live on Coldwater Canyon, normally go for steel or iron because it is heavy, durable, and can take heavy hits while still staying intact. 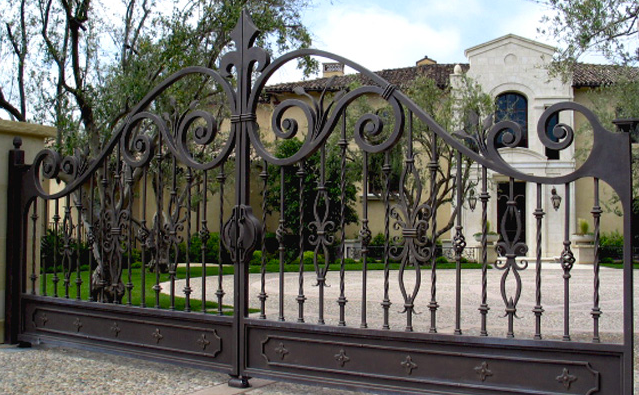 Our Beverly Hills custom gates can take any metal, and create any style with customized details. If you want a wrought iron gate with lots of ornamentation and your initials in the center, our metal workers can create your stunning, one-of-a-kind custom wrought iron gate complete with delivery and installation. We can even get specific and create a custom metal gate to compliment your Mid-Century modern home by staying true to authentic design details, or make a contemporary metal driveway gate to compliment your home and offer maximum security. Everest Custom Gates. Made to Order. Serving Beverly Hills. Give us a call; tell us about your property, security needs, design style, and together we can create an amazing one-of-a-kind design that will hit all the must-haves on your checklist!